As of today, Salivan Harddin of Hoover Inc., Pandemic Legion [-10.0] will be stepping down as Editor in Chief (EIC) of Eve News 24(EN24). Salivan has served EN24 well in this capacity and his legacy will be a hard path to follow. He took the position with the stated goal of increasing the quality of the organization while continuing Bobmons legacy of shaping the site and its staff while using it as a platform to promote the EVE Online community. Though stepping down from the role of EIC, Salivan will remain a staff member and an active contributor to the site. We in the EN24 family would like to take the opportunity and thank Salivan for all his hard work and dedication. EN24 and the wider community has benefited from Salivan’s tireless efforts in establishing a high standard in quality writing and journalism. His work has paid off as EN24 has experienced significant change in this area during his tenure. We look forward to his continued contribution and articles he will provide in the future. We are pleased to announce that Johann Landier of Southern Comfort, TEST Alliance Please Ignore will assume the role as EN24’s new Editor-In-Chief effective immediately. Johann has been a New Eden Capsuleer for over 6 years and a Staff Editor for a year. His Eve adventure has taken him to all corners of New Eden and his deep passion for the game and it’s players is apparent to anyone who gets to know him. 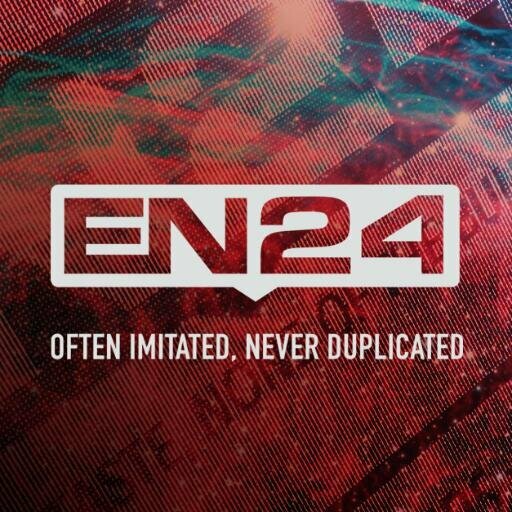 The CEO of EN24, Riverini, in his continued push to truly make EN24 Eve Online’s a comprehensive daily source of news and information that appeals to all types of players regardless of their playstyle, has given Johann the mandate of expanding En24’s appeal to all segments of New Eden by aggressively expanding content that can be enjoyed by all capsuleers. We will miss Salivans leadership but look forward to Johann’s efforts in this new era for EN24. In the coming day’s Johann will release a statement regarding his future plans for EN24 to achieve Riverini’s new mandate. Thanks for the update, how can I make is so that I receive an alert email every time you make a new update? It is really a great and helpful piece of info. I am glad that you just shared this helpful info with us. Please keep us informed like this. Thank you for sharing. I’m also commenting to make you know of the great experience my daughter enjoyed using your webblog. She realized too many things, including what it’s like to possess an incredible teaching nature to make others quite simply fully grasp a number of advanced subject areas. You actually surpassed her desires. Thank you for coming up with the precious, safe, revealing and as well as unique thoughts on that topic to Julie.